TALLAHASSEE, Fla. — 50 years ago, Tallahassee welcomed its first indoor mall. Next week, the property will be sold in an on-line auction and city officials hope to have the winning bid. Some people say the city made that decision without giving the public enough time to chime in, so we asked the mayor to explain. Over time, the Northwood Centre went from the talk of the town to a property in need of repair. Stores moved out, state agencies moved in, and health inspectors found contamination issues. But an online auction Monday starts a new chapter. "This is a once in a lifetime opportunity, so I'm really excited that we're pursuing this piece of property," said Tallahassee Mayor John Dailey. Dailey said it's has been the most recommended location for the public safety complex. He said the city learned about the auction last week, so he brought it up at the end of Wednesday's commission meeting. It wasn't on the agenda, but the commission voted to enter the auction. "Unfortunately, due to Sunshine Laws, where we have to discuss these items in the public, this was the only meeting where we had an opportunity to address this," said Dailey. Some people said they support the bid, but not the process behind it. "The only people there to give public discussion or public comment was the people who were there for the agendaed items, which I don't think that is the way this should've been done," said Bill Schack, former city commission candidate. Dailey said even if the city doesn't put the public safety complex here, the property could be used for other types of projects. "As long as the city owns the dirt, we control the destiny of the property," said Dailey. "How many 30-plus acres of property are in existence in Tallahassee where we have the opportunity for transformational change?" 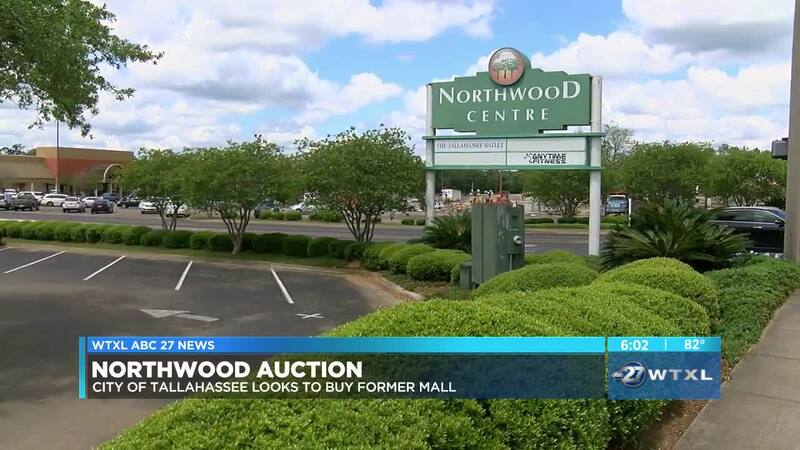 The starting bid for the Northwood Centre is $2 million. Dailey said if the city wins the auction, it would likely tear down the existing property to make room for future plans. That could include the Tallahassee Police Department headquarters.